Yoshkar-Ola – capital of Republic Mari El, which is the leading center of Finno-Ugric culture. The city is home to just over 250 thousand people here are quite welcoming to tourists coming to visit. To get to Yoshkar-Ola using a personal vehicle. Directly through the city paved highway Р176 binding between Syktyvkar, Kirov and Cheboksary. A few kilometers away from the city is a highway that connects Moscow, Cheboksary, Kazan and Yekaterinburg. Drivers, following on the highway M7 "Volga", and you can get to Zelenodolsk, then roll to the track P175 (in some maps – А295) and drive to Yoshkar-Ola. To use this method unable drivers, motorcyclists and even cyclists. Train station of Yoshkar-Ola is located on a dead-end branch connected Yaransk and Green Dollars. It is the departure point pairs of trains №№57/58 "Yoshkar-Ola-Moscow/Moscow-Yoshkar-Ola", which have the status brand called "Mari El". Trains run via Arzamas, Zelenodolsk, Moore and Canas. 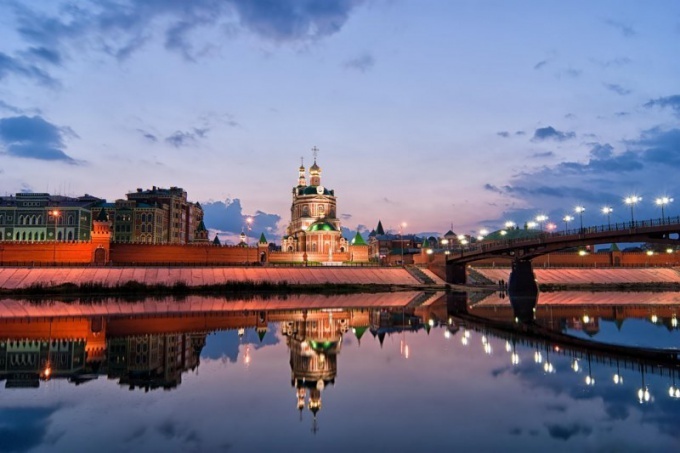 From Moscow to Yoshkar-Ola can be reached by train in just over 14 hours. Other long-distance trains at this station does not happen, however it runs several trains, connecting the settlements of the Republic of Mari El. To Yoshkar-Ola can also be reached by bus. The town has direct bus links with Ufa, Perm, Nizhny Novgorod, Cheboksary, Nizhny Novgorod, Ulyanovsk, Moscow, Kirov, Saratov, Samara, Yaroslavl, Syktyvkar, St.-Petersburg, Kazan, Izhevsk. Closest to Yoshkar-Ola is located in Cheboksary and Kazan, the buses from these cities go to the capital of the Mari El Republic every 30-40 minutes, journey time is just over an hour. In the capital of the Mari El Republic can also be reached via air, but flights in the region are not very well developed. From Yoshkar-Ola regularly flies to Moscow, Saratov and Samara. In the near future it is planned to organize regular flights on the route "Yoshkar-Ola-Ufa".